These changes are in Maple Grove Developments, Applethwaite Homes, and Eric Wright Health and Care. It is aimed at strengthening the Property division and ensuring a robust, unique identity for each Group company as part of long-term growth and succession planning. Karen Hirst becomes managing director of Maple Grove Developments after joining the company as divisional director 18 months prior with an enviable property pedigree, which includes substantial success in delivering public/private property partnerships. Karen is a chartered surveyor with 28 years of property experience in the public and private sector. Karen spent 10 years at Salford City Council, first as development director at Central Salford Urban Regeneration Company, then as development director at Salford City Council, where she led the Regeneration, Property, Housing, Planning, Transport, Business and Funding teams. During her tenure, she was responsible for leading a number of major mixed use development projects, including MediaCityUK, Salford Central and Port Salford, working collaboratively across public and private sector stakeholders. Since joining Maple Grove Developments, Karen has been the lead for the Cuerden Strategic Site in South Ribble, Lancashire, acting as Lancashire County Council’s developer partner for the first phase retail development on the 160 acre site through the Lancashire Regeneration Property Partnership. 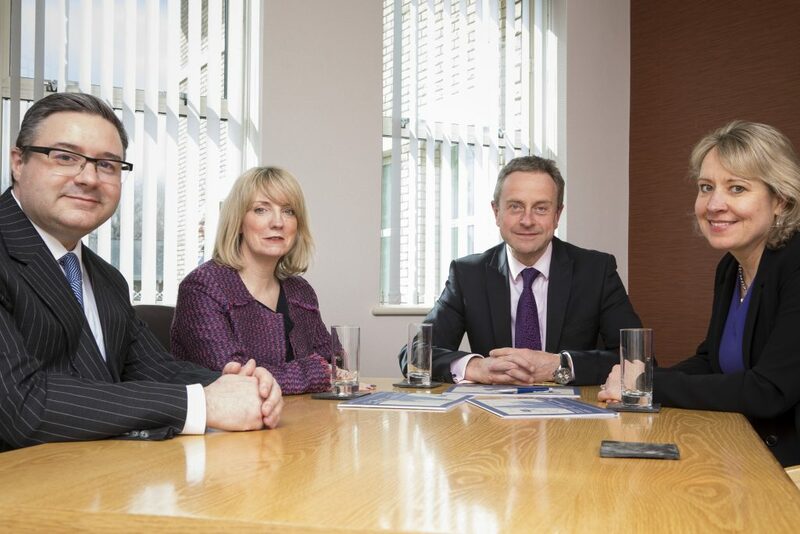 The promotions coincide with the retirement of former property managing director, Chris Evenson, who oversaw Maple Grove Developments, Applethwaite and Health & Care. Karen said: “Maple Grove is a North West focused property development specialist with an enviable track record of bringing forward major projects and commercial developments. A number of these are in partnership with public sector organisations and some as joint ventures with other private sector developers. In parallel with Karen’s new role, Colin Hetherington has been appointed as managing director of Applethwaite. Bringing a 20 year track record to the role, including senior roles at a number of corporate housebuilders, Colin will continue to place a strong strategic focus on bringing high quality, traditional homes to market that reflect contemporary lifestyles. A chartered surveyor and specialist in planning and land acquisition, Colin has already successfully transformed Applethwaite from a business focussed on high-end homes in the Lake District to delivering larger schemes in South Lakeland and Lancashire. As managing director, he will continue to develop the company’s reputation and portfolio for quality family homes in village locations and bungalow developments for the over 55+ market across Lancashire. Christine Winstanley becomes managing director of Eric Wright Health and Care as part of the suite of promotions, following an eight year tenure as divisional director. During this time she has been responsible for developing the brand as a key strategic partner to the NHS and local authorities and evolved the company towards the development of an enviable property portfolio of health and care assets. A central figure in the launch of Eric Wright Health and Care’s One Partnership concept, Christine has built excellent partnerships with public sector partners in Lancashire and Greater Manchester and will continue to build on flourishing relationships in Cheshire and Cumbria as managing director. Working closely with Applethwaite to deliver solutions that address the needs of an ageing population across health, care and housing, under Christine’s leadership, the team are well positioned to deliver unique solutions to their local partners. In addition to the managing director appointments across all three Eric Wright Group property businesses, the Group has also appointed divisional director, Neal Whittle as managing director of Eric Wright Water with a remit to continue to develop the £45million business as a leading contractor in the water sector. Managing director of Eric Wright Group, Jeremy Hartley, commented: “As we continue to grow across the Group, extending the reach of our property businesses in terms of both sector and geography, it’s vital that we have the right level of skills and leadership within our senior team and a synergy of strategy across the Group. Eric Wright Construction also recently announced four director appointments as part of its ongoing commitment to deliver excellent customer service and serve a growing client portfolio. The Eric Wright Group is wholly-owned by the Eric Wright Charitable Trust. Profits from the Group are invested back into the Trust and used to support organisations and good causes that focus on young people’s wellbeing, education and training, health, carers and elderly services in the North West and across the UK.